The biggest obstacle to displaying your favorite photos at home is that it’s extraordinarily time-consuming to size and print the pictures, hunt for a frame and matting, and then gauge the right spot. 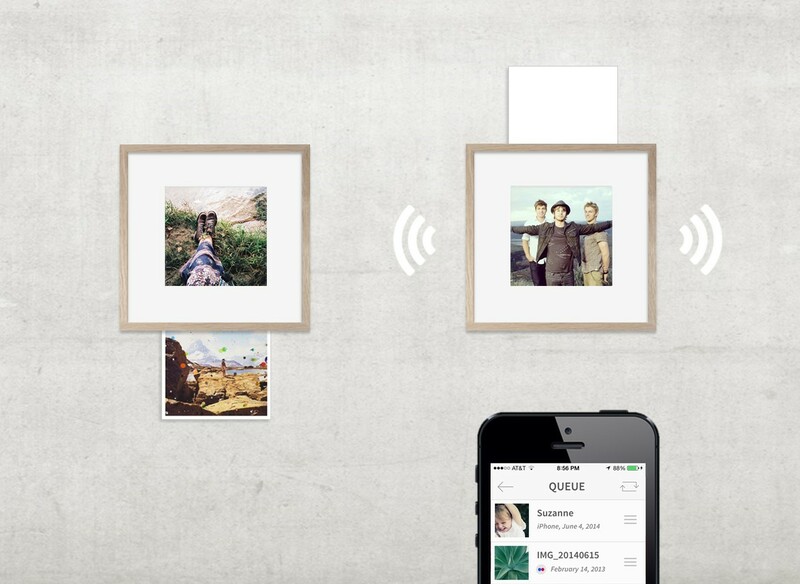 Wundershine seeks to automate this often frustrating chore with a new wall-mounted picture frame system that combines a connected wooden frame with printed images and colorful storage boxes for the prints. An automated framing mechanism, paired with a smartphone app and a boxed storage system, promise to streamline the process of enjoying your favorite shots on the wall. The frame comes in two models. The Makerframe — made from premium grade oak measuring 17 x 17 inches and available in natural, black or white — uses built-in inkless thermal printing via wireless networking (Wi-Fi and Bluetooth) to create the images. Just load a sheet in the frame and the system ensures that the photo is printed at the right size and placed in the proper position. Because the frame is battery operated, there are no power cords to mess with or mar the effect. The Reframe has just the framing mechanism, letting you swap pictures, but without printing or networking capabilities. Both can be used together in your home. The frames work with a companion iOS or Android app that lets you place chosen images in a queue, crop and resize prints and provides templates for grid collages. You can edit images with a number third party apps, but they will always be square sheets with a white border made to fit the Wundershine frames. Paper packs are available for purchase. 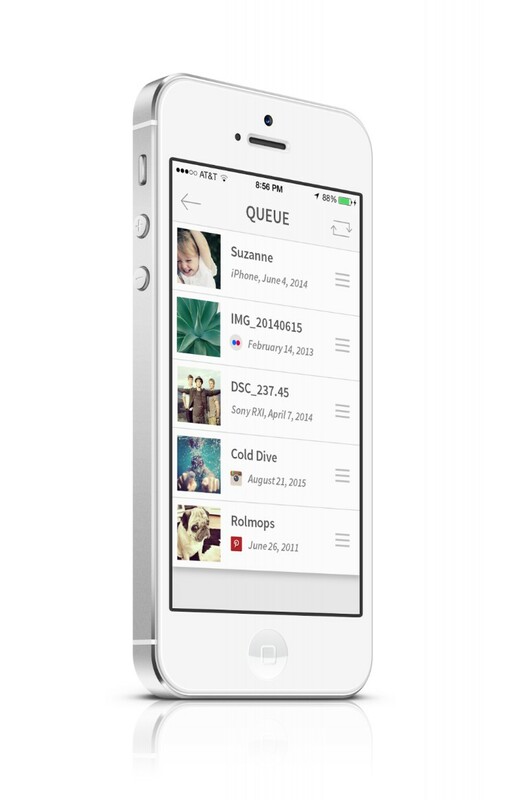 The companion app stores your images in the cloud where you can swap out framed pictures at will. But you don’t have to use your own pictures. Wundershine has an e-print store where you can order prints from its collection of curated art and photography to either put into your app’s queue or have printed and delivered to your home. Both frames are available for pre-order today, but be prepared to wait. The Reframe model will be available in the fall of 2015, but the Makerframe, with the printing and networking technology, will ship early next year. Pre-ordering gives you a 30 percent discount, which means Reframes are $59.95 (regularly $85.50) and Makerframes are $179.95 (regularly $257.50). You will not be billed until the products ship and you can cancel your order at any time before shipping. Additional information is available via the company’s extensive FAQ.